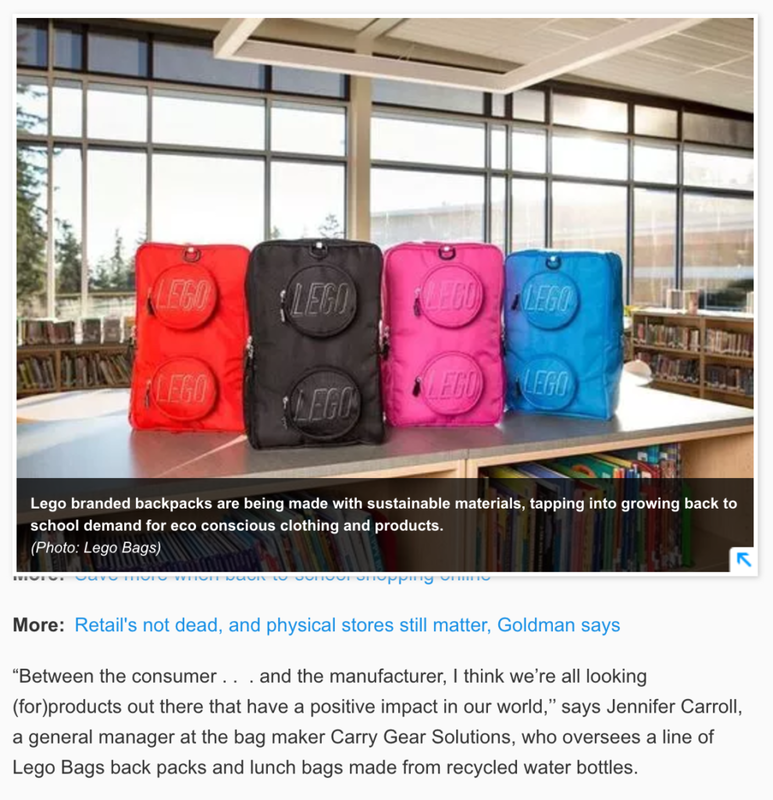 A product/lifestyle photography client of mine, Carry Gear Solutions, manufactures bags made from recycled plastic water bottles for Lego. They were pleased to tell me that one of the images from our most recent photo shoot appeared in USA Today. We also had fun producing two photo-animated videos for Lego Bags illustrating the method by which plastic water bottles are transformed into backpacks.